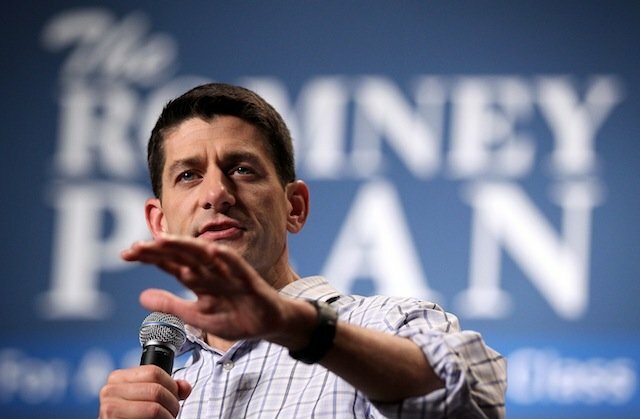 Paul Ryan argued Monday that a vote for a third-party candidate would likely help President Obama win reelection. Ryan was asked why voters should not vote for Ron Paul. The Republican vice presidential candidate responded that a vote for Paul, who ran for the 2012 GOP nomination, would effectively split the vote in a way that helps Obama. “Do you want Barack Obama to be reelected? Then don’t vote for Ron Paul,” Ryan said during a campaign speech in Lima, Ohio, on Monday. I strongly suspect that neither political party really knows what to do regarding the economy, nor do the experts, although they have opinions and theories. (If you want to really check out their level of confidence, ask them to guarantee the stated results of their anticipated policies, and then require them to put up their family assets resulting in forfeiture if they are wrong.) The problem is simply too large, complex, and interconnected with economies of other nations, over which the US has no control. To fix most things in the universe, you have to get them to “sit still” at least for a short period of time, and suspend those outside factors bearing on the problem. This is a dynamic situation. If we as a society actually knew what worked, and could establish a cause and effect relationship with any certainty, we would have done it by now. Don’t you think? I am tired of hearing a vote for Ron is a vote for Obama. Or the other people say, I have to vote for the lesser of the two evils. President Lincoln was told he did not have a chance. Being he was from the new party of republicans. Hmm.I will vote for who i believe is the best for the job even if it means four more years of Obama. Yikes! Even if it means four more years of Obama? That's sooo comforting (sarc). I, on the other hand, refuse to give this man another four years; even if it means giving the vote to Romney. I must admit that Romney isn't my favorite, but I do believe he will be a better president than the current occupier. I know you are tired of hearing that "a vote for Ron is a vote for Obama", but it doesn't change the fact that it's true. I don't care who get elected they are cut from the same cloth. What you have to understand (those who blame Obama) this economy was screwed when he took office. If you remember, we had to bail out the banks when he first took office. Now not saying he has done a great job but you can not blame the current state of the economy on him. You need to look at the fact we have been at war for 11 years. That is a republican president that did that. Trickle down doesn't work either. I will vote for Ron Paul. I will not vote the lesser of two evils. I will vote my principle. I do care who gets elected. And I also understand that Obama is not the only one to blame for this economy. That being said, Obama and his party are totally against what this country is all about. I can't think of a single reason why he should remain president, and frankly the thought frightens me. If you think your libertarian beliefs are safer under this administration, you are sadly mistaken. Casting your vote for Ron Paul will not get him elected and you will be helping Obama get another 4 years; which I hope to undo.